How nice it would be if Salesforce auto adds a user (specified user) to Default Account Team for each new users? Well, we can cajole Salesforce to do just that by leveraging Process Builder and Visual Workflow! 1. Define Default Account Team on user’s record. If a user selects Automatically add my default account team to accounts that I create or accounts that are transferred to me checkbox then Salesforce will auto add Default Account team members to new account. 2. Manually add the members to Account Team for each new account records. 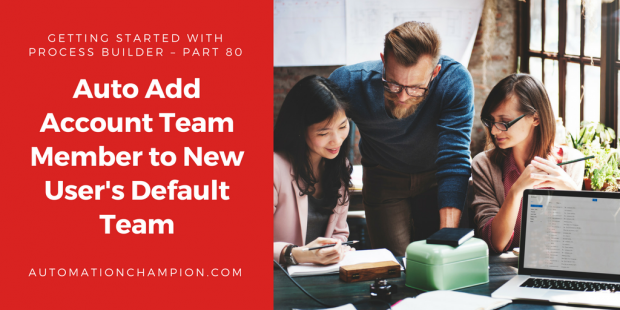 Once a new user is successful logged into Salesforce, the next task is for them to set up preferences for email and adding members to Default Account and Opportunity Teams. Although organizations have onboarding training for new users, at times, a user may miss setting up critical settings. If so then, why not leverage Process Builder and/or Visual Workflow to avoid such mishaps? Let us see how to get started on working smarter by tackling a business use case. Add Sarika Gupta, a Legal Advisor, to the Default Account Team, on the new user’s record. So that, when an account owner clicks on Add Default Team (Using button available on the Account Team related list) or selects Automatically add my default account team to accounts that I create or accounts that are transferred to me checkbox, it will add Default Account Team members to Account Team on an account record. Opportunity:- Read Read the rest of this entry! A Thanksgiving message to my Salesforce Ohana! It is gratitude that draws people together, builds trust, and strengthens ties. 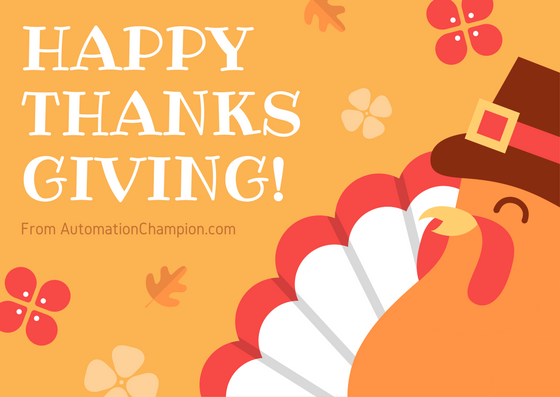 First and foremost, I would like to wish all my Salesforce Ohana a very Happy Thanksgiving! I hope you all are able to spend a little time with your loved ones and make the most of the long weekend! Thanksgiving is almost here, and you have more to do than bake pumpkin pie and clean out the guest bedroom. Giving thanks is one of our core beliefs and a practice we demonstrate every day as a human being. I want to take some time out and let you know how grateful I am to YOU – my blog readers, subscribers, blog sponsors and entire Salesforce Ohana. I feel such gratitude to have all these wonderful people in my life and the chance to break bread with them. Time to get a free copy of my book Mastering Salesforce CRM Administration by SmartCloud Connect. I hope you will get a copy and enjoy my book. If you already have it, why not share this post with a friend and encourage them to get their free copy? I hope you have a wonderful Thanksgiving week and enjoy a special meal and time with friends and family . . . and maybe a good book too!